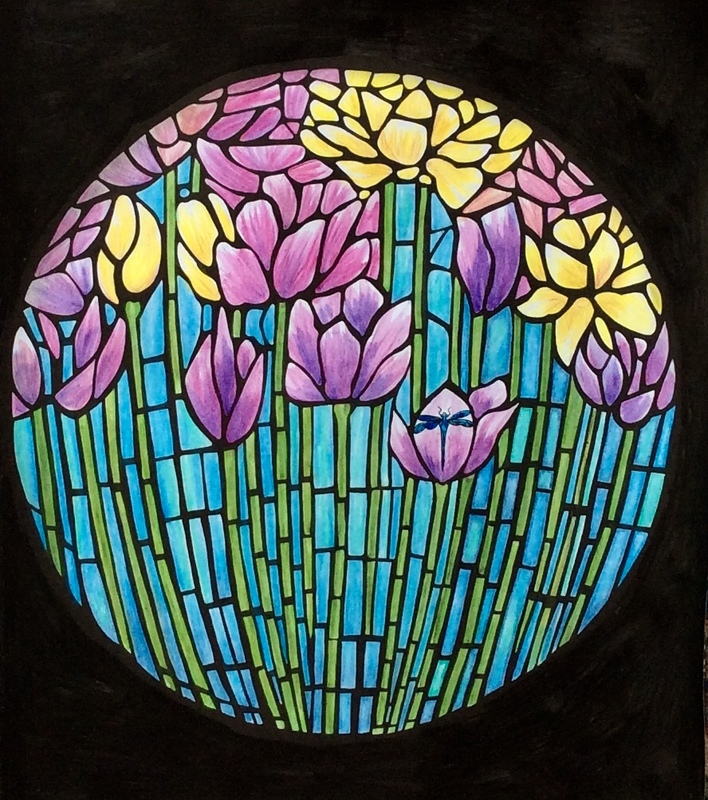 Stained glass seems to have always been part of my life. My father's hobby was to create stained glass lightshades, windows and mobiles. Probably that's where my fascination with colour originates. 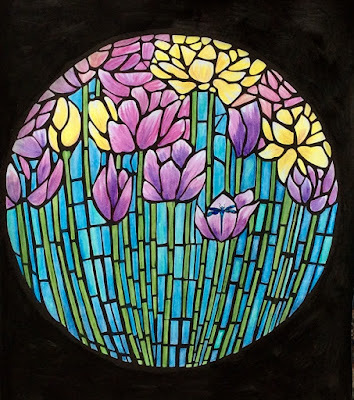 Back in the 70s I discovered Tiffany glass and bought my first Tiffany style lamp. 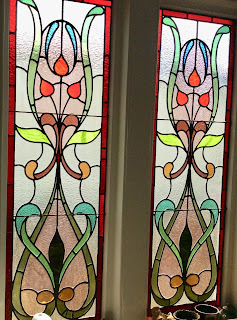 In our current house we have these beautiful 100 year old stained glass windows, with such intense reds, chartreuse and teal colours. See the photo below. 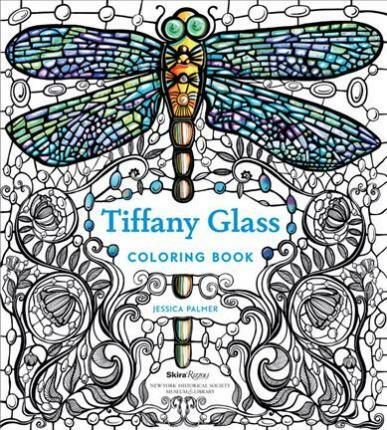 When I found out that Jessica's new book would be based on the designs of Louis Comfort Tiffany, I could hardly wait to see it. It's breathtaking! 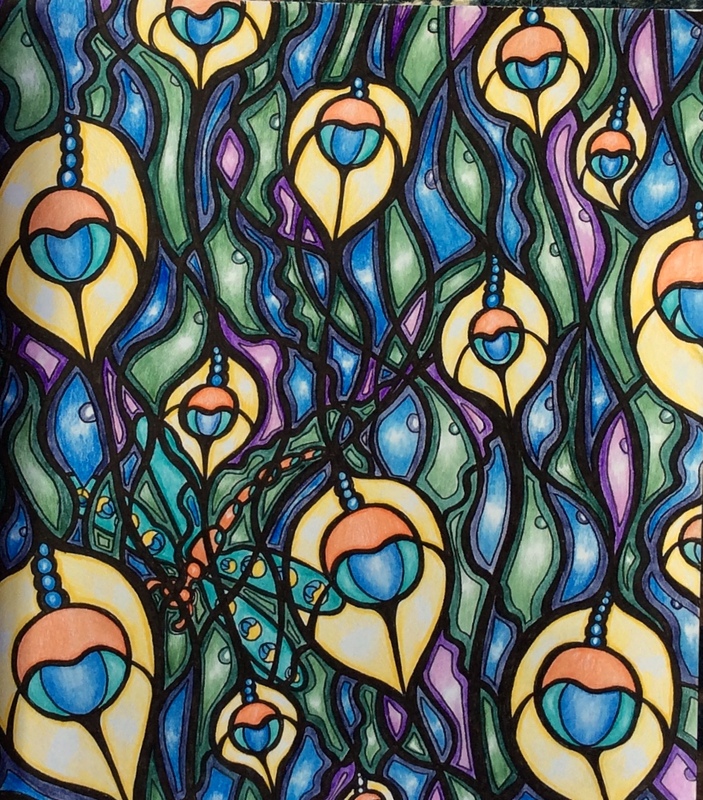 Yet another book that I will be colouring right through. 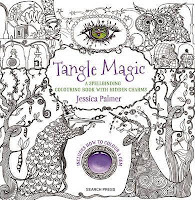 Many of us are familiar with Jessica's Tangle series of colouring books - Tangle Wood (review), Tangle Bay, and Tangle Magic (review and video). This is a new direction for Jessica and is undertaken in conjunction with the New-York Historcal Society, who hold the Neustadt Collection of Tiffany Lamps and windows. Jessica has interpreted the designs with us, as colourers, in mind. So this book offers a research element, which I always find compelling, and you can search the Neustadt Tiffany collection online here to see the vast range of designs and colours to inspire you. 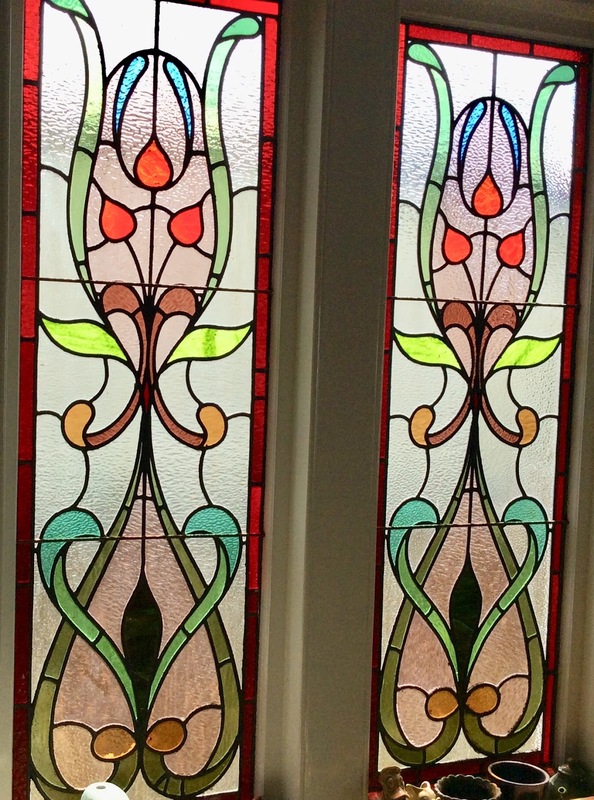 Jessica has mostly zoomed in on finer aspects of the glass designs so that the colouring detail is not too intense. 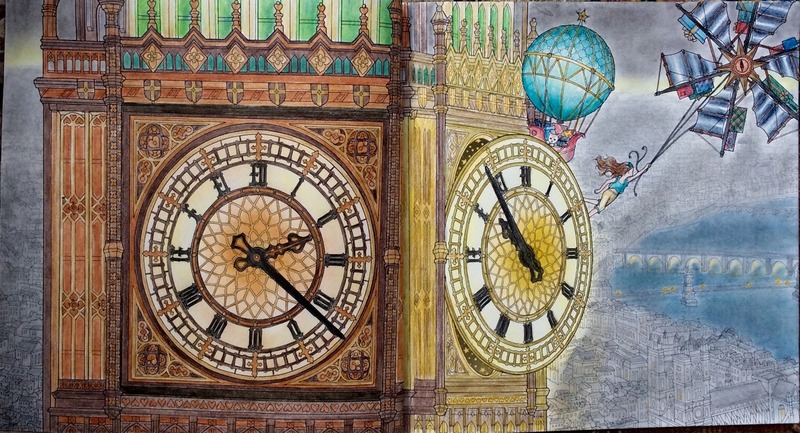 You won't need your magnifying glass to colour this book! On a few images, such as the peacock feathers above, she has left us to black out the leadlight lines and you'll need to be a bit careful. Otherwise, have a wonderful time exploring bright or subtle colours as you wish. 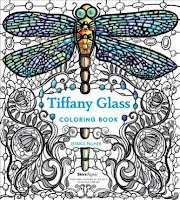 The cover is beautiful, with glowing foil highlights and this cover image appears in the book for you to colour too. I've found the white paper to be good and it stands up to water-colour pencils and water-based pens well. My pencils also lay down and blend well. Most of the images are on single-sided pages but several are also on double-sided pages which is a little curious. There are a couple of images that are double page spreads but Jessica has been careful so that as little as possible of the image is obscured in the spine. The images are not in frames and so run into the spine a little bit. However my book is flattening down well and this isn't posing a problem. The book opens with informative introductions from Jessica and the New-York Historical Society; valuable and welcome background information. A delightful aspect to the book is that Jessica has hidden a dragonfly inside each image. It's a lovely touch to use such an icon of Tiffany's art as this little surprise. I'm not usually a fan of hidden objects but in this book it seems so appropriate. I adore this book. I have no doubt in claiming this to be Jessica's best book to date. 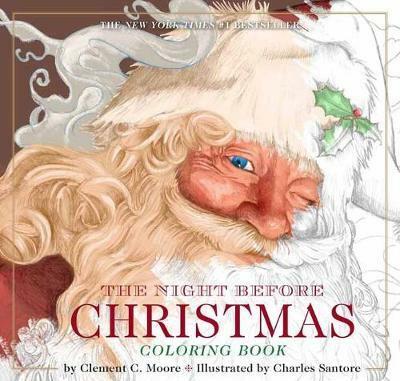 I will colour it right through and already I treasure it as one of my very best colouring books, and if I'm ever lucky enough to get to New York, the Neustadt Collection is at the top of my bucket list. Congratulations Jessica and the New-York Historical Society. 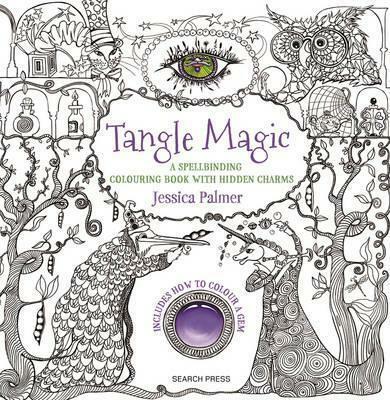 My review of Tangle Wood is - here. The Night Before Christmas - here.